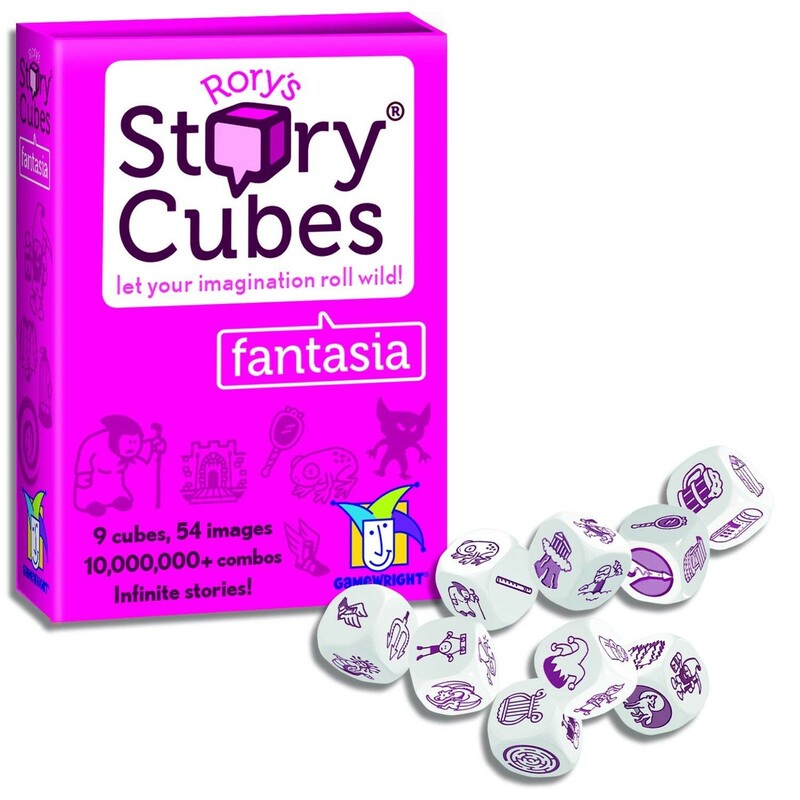 Once upon a time, with the help of Rory's Story Cubes, people came up with endless fairy tales and fantasies! This set includes nine iconic cubes that will help you tell tales of magical feats, mythical beasts, and medieval feasts. Images like dragons, magic mirrors, flasks of mead, and more provide fertile creative ground. 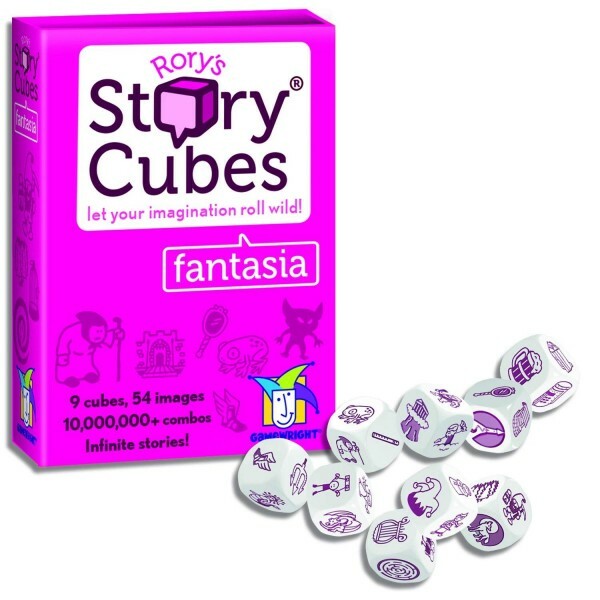 Whether you're using them as a creative writing prompt or for storytelling games, they'll provide hours of fun, either alone or combined with other Rory's Story Cubes sets. For more toys and games to encourage literacy skills, visit our Reading / Literacy Toy Collection.